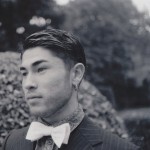 Shane was born in Tokyo in 1992 and at one year old his family emigrated to the USA.They stayed in America for seven years, they then went back to Japan where they lived for again, another 7 years. The family then moved to Ireland where they now reside. 29 Sept.– Oct. 2014 Solo Exhibition The Shane Berkery Experience,Hendrons Collider,40 Dominick St., Broadstone, Dublin 7. Boyle Arts Festival Co. Roscommon 1 Aug. 2015-28 Jul. RDS Craft and Student Art Awards Exhibition,RDS Concert Hall, Ballsbridge, Co. Dublin 9 Aug. 2015 – 7 Sept.
Shane has won the Hennessy Craig scholarship award and the Whytes award at the 2016 RHA annual exhibition and has had a piece purchased by the OPW. Shane painting of recent President Elect has been shown in both the IRISH TIMES and SUNDAY INDEPENDENT.